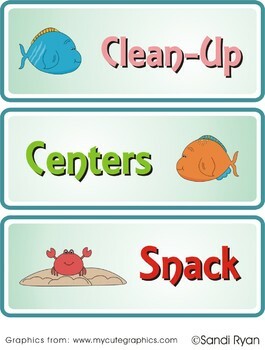 *These fun under the sea schedule cards are great for elementary teachers to use for classroom management. 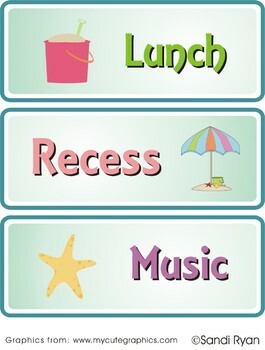 Subjects include: morning routine, reading, writing, math, science, social studies, buddies, home, intervention, lunch, recess, music, P.E., art, library, computers, silent reading, language arts, clean-up, centers, snack, restrooms, guidance, and one blank card. 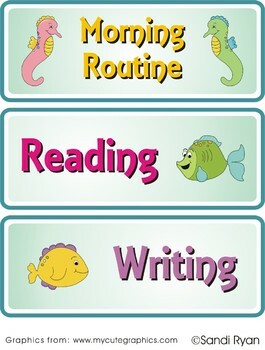 Let me know if you need any other subjects and I will send them to you! *Please rate my work, follow me, and/or e-mail me with any suggestions, ideas, or comments – I would greatly appreciate feedback so that I am better able to produce high-quality, usable, and worthwhile items. Also, I enjoy helping others and creating products for people, so if you e-mail me with a great idea I will produce it for you for free and then post it for others to buy. *Any of my items can be customized – size, colors, themes, visual aids, etc. so please e-mail me if you see something you like, but want it to fit your needs and I will create it for you for the same price. 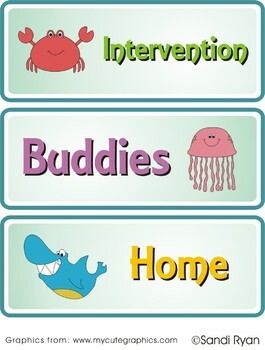 *For best results, always print on “best” quality rather than “draft” and be sure to laminate!